The Flint Group has announced a new nyloflex FTC Digital flexo plate, which produces inherent flat top dots and is said to result in significant fluting reduction on various corrugated boards from fine to rough flute. Nyloflex FTC Digital for corrugated postprint is said to offer significant fluting reduction and outstanding print quality. Flint claims good ink transfer with smooth solids with even ink laydown for consistent high quality print on a variety of substrates. It’s said to offer sharp and defined elements with precisely reproduced text and codes. There are less dot gain tolerances on press and Flint promises higher wear resistance even at faster speeds. It’s a photopolymer plate and requires standard processing with no need for additional equipment or processing steps. It’s said to have the same robustness and storage capabilities as other plates in the Nyloflex range. 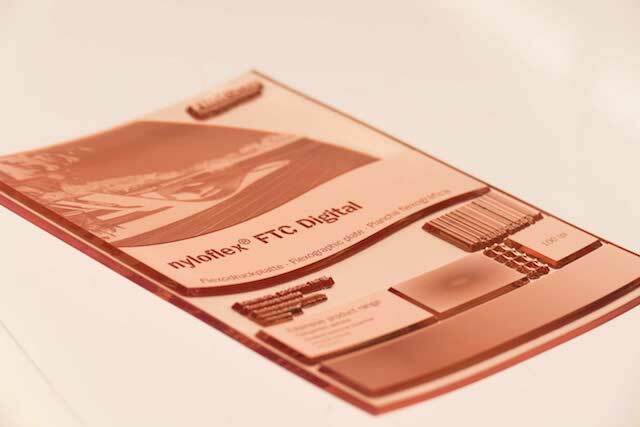 The Nyloflex FTC Digital plate will be available in several thicknesses, from 2.84 mm up to 6.35 mm from later this month.